Heroic rescue pups on Paw Patrol have captured the imagination of kids everywhere. They’re led by a boy named Ryder, who uses technology to help the dogs rescue and meet any emergency the town may have. Each of the rescue pups (Marshall, Chase, Rocky, Skye, Zuma and Rubble) has their own special skills and all types of gadgets that help them along. Kids love to emulate their heroes and meet imaginary challenges too – especially if they’re dressed just like their heroes. 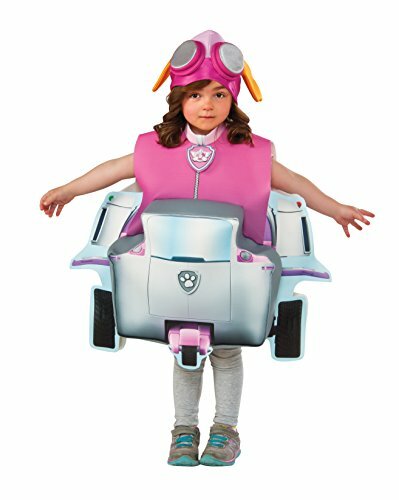 Toddlers especially love to watch their heroes in action, and Halloween is a good day to let the imagination run wild with costumes and gadgets that will make them fit the part. 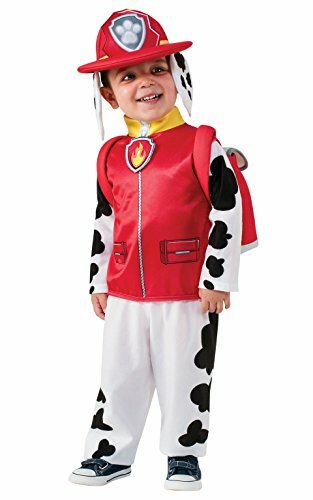 The Paw Patrol Marshall Deluxe Toddler costume is adorable with its Dalmatian-spotted jumpsuit and fireman’s helmet. Little girls will love the frilliness of the pink Skye costume with its sparkly tulle and pink collar. There’s an attached tail and an aviator goggle headband with ears attached that transforms her into a cockapoo – just like Skye. 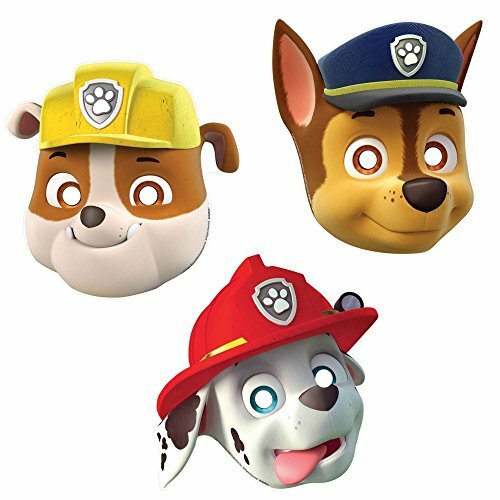 There are also tons of accessories for the Paw Patrol costumes. A Pup Pack with wings is perfect for any little girl to flex her own wings and become a hero. 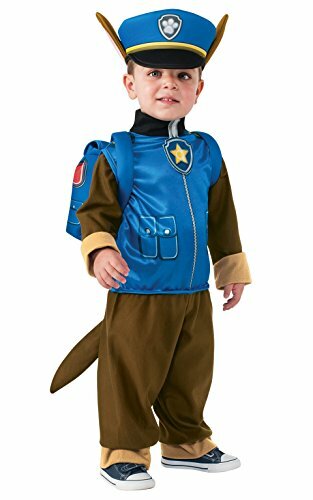 Any toddler boy will love to be Marshall, the German Shepherd, on Halloween night and many days after. The Marshall costume comes complete with hat, ears, jumpsuit and backpack. 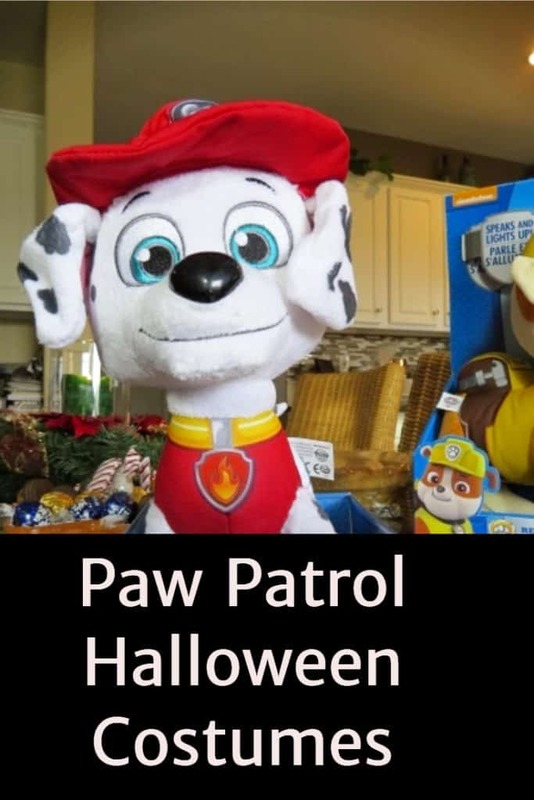 Other Paw Patrol costumes include Rubble, the English Bulldog, who can fix broken trains. Rubble’s costume includes a jumpsuit, headpiece and accessory kit with everything he needs to save the people on the train. Paw Patrol is a great program for smaller kids and the costumes are fun too. The antics on the show will pique your kids’ imaginations and they’ll love play-pretending to emulate all their Paw Patrol friends. Online sites have everything you need to choose costumes for the entire family – from Paw Patrol characters to Superheroes such as Superman and Batman. All the costumes from their favorite movies and video games represent the most popular characters, and you’ll love shopping for the best suit for your child. Adults can also find costumes for their parties online. Adult costumes have never been so popular and decorations for theme parties – adult and child – are also available. Shop soon to make sure the selections and sizes are readily available. Style your entire family in theme costumes or choose individual costumes from their favorite shows or games. They’re all online at affordable prices and many with free shipping to boot!